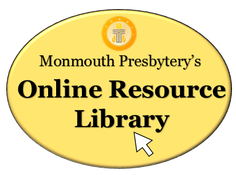 Click here to browse resources from our Online Resource Library! Make your Vacation Bible School a blast! Below are online resources for games, curriculum, crafts, and more! Also be sure to check out our Online Resource Library for resources you can borrow and use to make this summer's VBS one to remember! So far Surf Shack by Cokesbury & Deep Sea Discovery by Christian Standard Media are the most popular for '2016'! If you can't find what you are looking for or need personal assistance, please contact us today!